If you’re looking for different genre of music to listen to or a band that’s open to possibilities of other artists jamming with them, Blank White Page is your answer! Started in the year 2016, Blank White Page is a homegrown band that believes in not sticking to a specific genre and hence, their music is spanning across styles. For instance, their signature Irish folk music will make you tap your feet! Blank White Page is absolutely liberal when it comes to collaborations and jamming sessions. 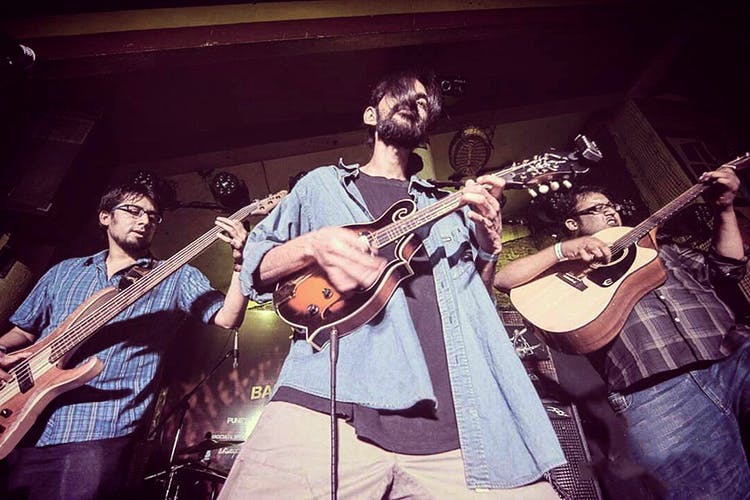 Their band believes in being open to ideas and possibilities which they feel come when people from different runs of life start contributing to their projects. And so, their band doesn’t have any “core team” members. They generally have an open jamming session at Pagdandi Books Cafe and for their upcoming gigs you can follow their Facebook page. Soon enough, Blank White Page is coming out with an album of 10 original Irish compositions. Celebrate the world of music with Blank White Page.